Good Things Come . . . . I know I’ve been gone for a long time. But, sometimes you have to take a step back from things to get a better perspective. I couldn’t focus on genealogy like I wanted too. Things were getting hectic. I’ve been planning my family reunion which has taken most of my time and energy away from genealogy. I’m alone in the planning..and we have a large family. This is also my first time doing it. But, my ears are always open to things I need to know. 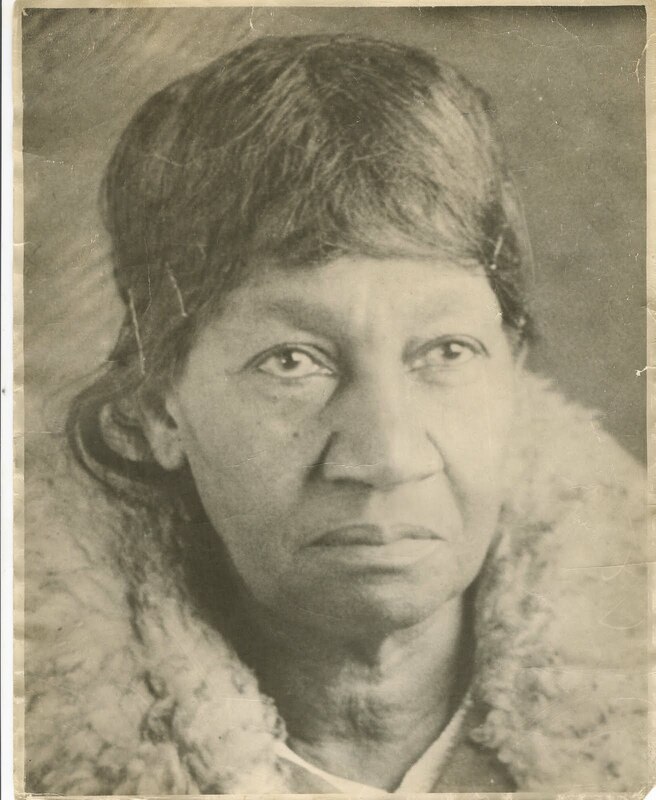 As you may (or may not know) my family has been searching for a picture of my 2nd Great Grandmother, Harriet Ann Banks since my Great Grandmother’s passing in 1998. One of her daughters removed photos from the home in an effort to get copies made. But, in the process, the pictures were lost. This has caused a rift in the family between the siblings. I swear it seems like a conversation can’t go by with out mentioning of those photos and what happened to them. Thru calling and asking around, I determined that there were 2 pictures of Harriet around. Her other daughter Rosa had a picture in her home. However she passed away in 1989 and that picture had gone missing as well. Rumors of whom it was given too and who may have it now is the only information I could get. So, my dad called me a few weeks ago to let me know that a picture of Harriet was found. All this time it has been in a cousin’s home on her wall. Yes, we have all been looking for this picture for quite some time..and I guess no on thought to ask this cousin. I was more surprised that one of Rosa’s children didn’t have this picture. The person that had the picture was Rosa’s granddaughter. She quickly sent me the picture of Harriet. To my surprise, she does look a little Native American and a lot like my Great Grandmother Bessie. The features on her face and her expression look all too familiar. Although, I never really believed the native american reference from family members before since most African Americans believe anyone with long hair had native american ancestry…I can see it now. There may be some truth to those statements. I intend on getting additional prints made of this photo and giving it to family groups of her descendents. There should be more than copies of this photo. Hopefully, it won’t get lost in future years. It was pleasure reading this story. I am also working on my family tree and i can understand how small things turns so important while creating a tree. Congrats for finally getting picture of Harriet. Ms. Harriet Ann certainly has Native American traits (look at the jawline & nose!). Yes, many African-Americans profess Native-American lineage & many are dead right — they do. Glad to see you posting again. And congrats on finally tracking down a picture! What a happy find! Teaches us not to give up in our searches. I agree that your gg-grandmother appears that she may have Native American lineage. That will be interesting to investigate. Thanks. there wasn’t an active Native American tribe in Pasquotank county during the 1800’s that I’m aware of. So, I’ll have to keep looking to see what i can uncover. Next PostNext Where have I been?